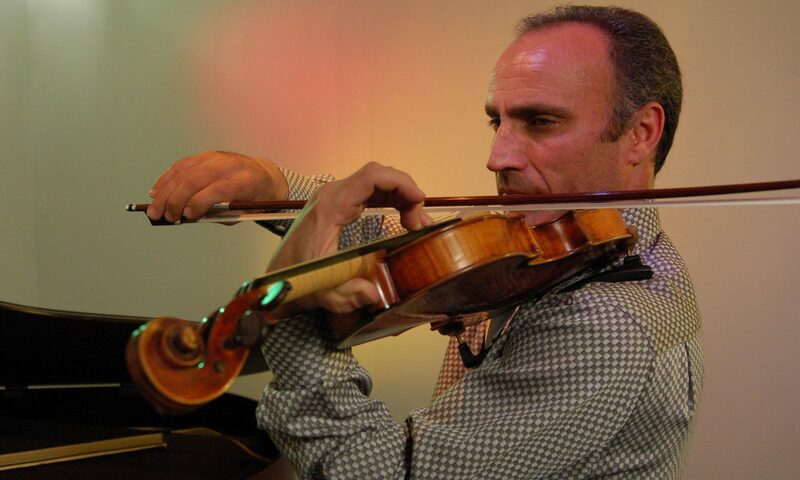 Samvel Yervinyan was born in Yerevan, Republic of Armenia, on January 25, 1966. At the age of 7 he began studying at the Spenderian Music School under the tutoring of Maestro Armen Minasian. He showed great promise as a violinist and a composer. He participated in quiet a few competitions and won all the first place prizes in his age group. On his graduation day, in 1980 he played Henry Vietan’s 2nd concert and received a standing ovation from all the faculty members. He was asked to continue his studies at Tchaikovskys Music Conservatory, under the guidance and tutoring of world famous Maestro Edward Dayan. In the following years he became the professor’s pride and strongest prospect for future concert violinist. At his graduation, he played several classical compositions including, Back’s Adagio and Fugue in G Minor, Mozart’s violin concert No. 5 in A Major, Paganini’s Caprice No. 21 in A Major, and Sarasarte’s Gypsy Melodies.Â In 1993 Mr. Yervinyan earned his PhD from Komitas State Conservatory in Republic of Armenia. Samvel thrives to be the best at his profession and becomes more and more the perfectionist he sought out to be day by day.